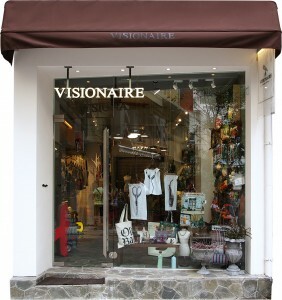 Founded by a few great individuals who travel and shop a lot, Visionaire is a select shop of cool things of all categories from around the world. Partly because we are designers and have been in the ‘design community’ for long, we tend to be exposed to a lot more interesting ideas and creations from around the world. Our mission is to screen what we see and find, until we set our vision on a range of products that are somewhat different, meaningful and definitely interesting. Either it be a compliment, a smile or a frown, we guarantee you our collection can anyhow catch your attention and trigger your comment.